We offer competitive prices and excellent service for your pumping needs! 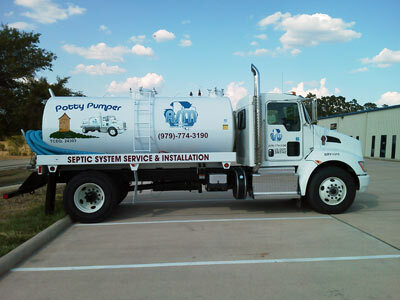 We strive to be the best pumper in town and will be honest with you about your septic system! We find that about 75% of the time we receive a call from someone wanting to get their septic system pumped out, it does not need to be pumped. We get calls from homeowners that say their service provider recommended pumping or some homeowners just assume every few years the septic system should automatically be pumped. Frequency of pumping is strictly based on a family’s water usage and habits. If a system is constantly overloaded, it may need to be cleaned out every year or 2. Whereas, others may be able to go 4 or 5 years. When we get a call about pumping, we try to save the customer money so we send a technician to check the system first instead of just going to pump it out. The technician stabs the tanks with an instrument and measures how much sludge is in the tanks. You may not realize it but your septic system will always have large amounts of water in the tanks, that is normal. So, if you open your lids and see it is full of water that does not mean it needs to be pumped. The trash tank (1st tank, usually buried) will need to be pumped when the other tanks are pumped. The aerobic tank (2nd tank) – we can pump just the scum off the top, there is no reason to pump out the water in the tank if there is not much sludge. If there is over 50% of the ATU volume of sludge we recommend taking everything out. The pump tank (3rd tank) is important because the spray pump inlet is about 12 inches from the bottom of the tank. We need to pump the sludge from this tank when it is about 10 inches of sludge to keep your pump from pumping out sludge and burning up the pump. Our experienced pumpers know what they are working with and know what needs to be cleaned out of your system. We ONLY pump out what is necessary and that is what you are charged for. Some pumpers will insist on pumping out your entire system, even if it’s not that bad because they are charging you per gallon. 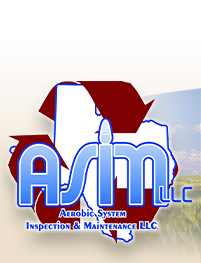 We will take precautions while pumping your system. You will be notified if your lids are in bad condition or any problems were noticed with your system. We will check proper operation of your aerobic system before leaving. We will fill up your aerobic treatment unit with water to keep the aerator running and avoid an alarm, and also check the spray pump operation and make sure spray heads were not filled with sludge.